As joyful as the holidays are meant to be, this time of year can also place a great deal of stress and strain on your relationships – whether it’s with your partner, your family or even with yourself if you’re newly single. With all of the hectic commotion and great expectations surrounding this season, it can easily allow tension and tempers to flare, or overcoming feelings of loneliness and depression to arise. Whether you’ve just experienced a break-up, are dealing with strain on your relationship, or need the advice to cope with family relations, here are some helpful ways for managing your struggles during the holidays. If you and your partner have recently separated, it can feel especially hard to cope with during this time of year. With all of the arranged get-togethers with family and friends, attending any events and gatherings at all can seem like the last thing you want to do. But one of the best ways to manage your struggles with a break-up during the holidays is to force yourself to get out and enjoy as much of the season as you can. Surrounding yourself with those who love and support you will do you far more good than staying at home alone, exacerbating feelings of loneliness and depression. So force yourself to get out and spend times with those that matter most. The holidays can create tension for any relationship with all of the expectations and chaos that can arise during this time of the year. 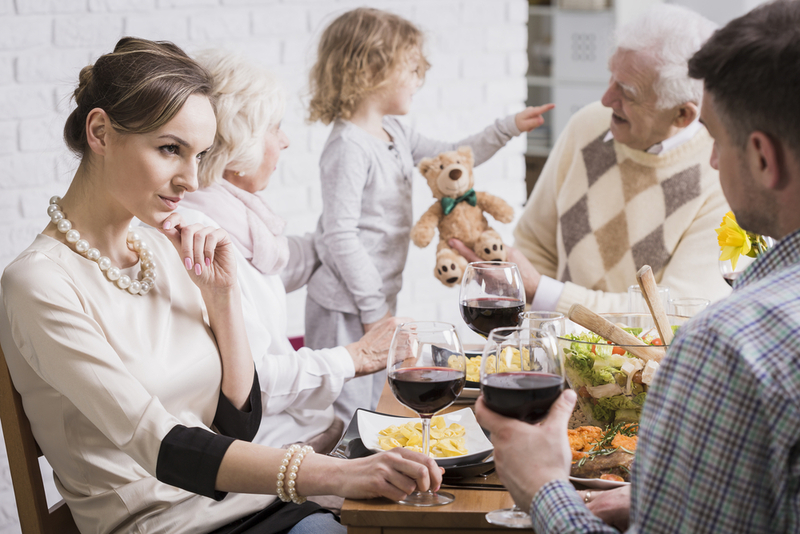 Figuring out which grandparents the kids should be with, which events you should attend, who to invite to your holiday gathering, along with divvying up tasks of buying gifts, prepping dinner and everything else in between, can be a lot to handle, to say the least. So before the holidays officially kick off, sit down with one another to go over the plans and arrangements together. Schedule a nice evening where you can discuss arrangements, with the willingness to compromise. This is essential for any relationship to thrive and stay tension-free during the holidays. So take the time before the chaos ensues to figure out how you can cope with it in a healthy, loving manner. When all of the family is gathered together during the holidays – from your weird uncle to your quirky aunts – it can be a challenge to endure. As much as you love them, being asked a million questions about your career status, or why you haven’t had kids yet can easily send you gasping for air. But family is family, and all you can do is learn to shake off the irritancies and laugh along with them. The best way to truly cope with the colourful variety of personalities is to go in with the expectation that nothing will change, and if something or someone does – bonus! But understand that it’s rare that you get to see everyone together, so you might as well make the most of it and learn to recognize that your family only wants what’s best for you. So brush off any crazy antics and try to enjoy it. The key to managing your struggles during the holiday season is to give yourself enough prep time ahead of the commotion to really plan out your time and mental state well in advance. And if you find that the love and support from your friends and family simply aren’t enough, or is too much, Vaughan Relationship Centre can help. Our counsellors are here to listen and to help you tackle emotions that you’re feeling so you can learn to cope and move on. Contact us today to set up an appointment.